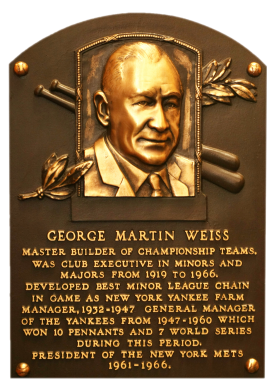 As farm director and general manager of the Yankees from 1932 through 1960, George Weiss deserves much of the credit for creating the Yankee dynasty. He built the farm system to 21 teams, then became the general manager and dealt from strength, constantly picking up precisely the player the Yankees needed in exchange for several prospects plucked from the system he created. He joined the Mets as the club's first president in 1961. Comments: I remember finding this card on eBay and thinking "What a perfect portrait!". He doesn't have a lot of cards, maybe just a few, so I got a little lucky. Anyway, I purchased a raw example on eBay in November, 2004 for $2.95 including S&H from Don Rice (dkrice). 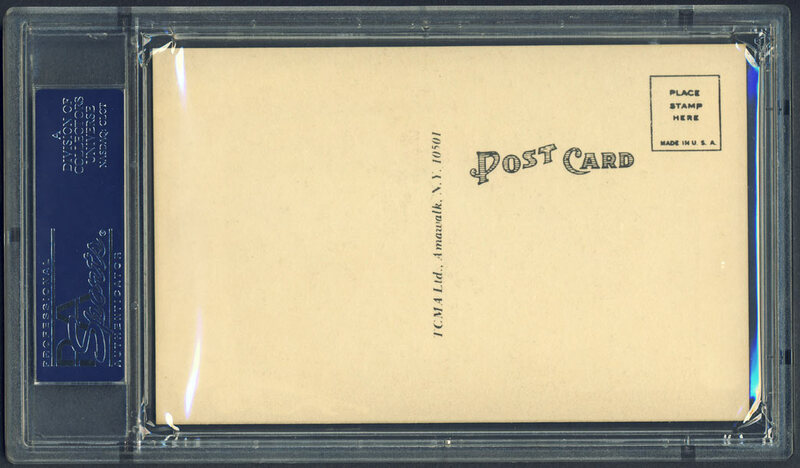 The card was submitted to PSA and graded EX-MT in September, 2006. In January, 2011 I won another raw card from Eric Miller (nathan1018) for $3.49 including S&H. Upon receipt, the card was better than I expected - borderline MINT. I was so happy. I sent it off to PSA and it was one of the highlights of the submission - receiving a NMMT rating in May, 2011. I've since purchased one more card but it was EX at best. At this point I don't know if a better example exists but owning a certified MINT example would be nice. 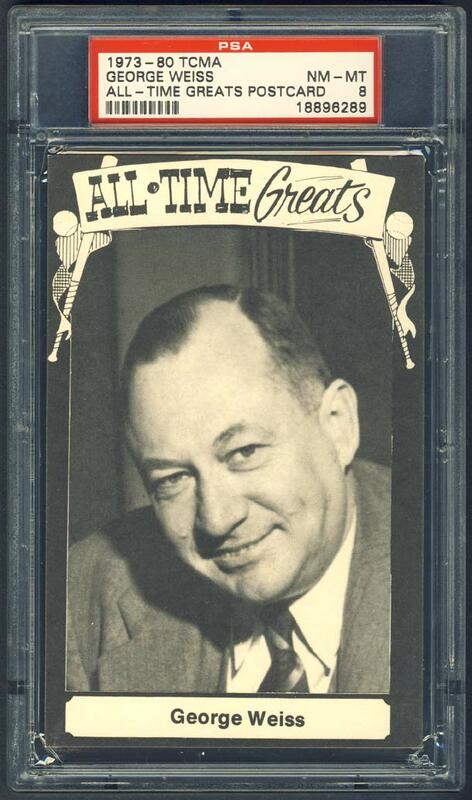 Description: One of the longest collector's series issued by TCMA in the 1970s was this set of player postcards. 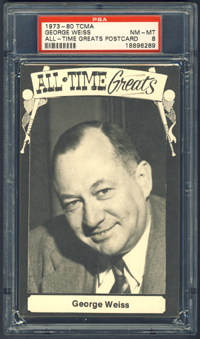 Measuring 3-1/2" X 5-1/2" the black-and-white cards have large photos on front, bordered in black and white highlighted with banners and baseball equipment. Backs have postcard markings. Six series of cards were issued between 1973-80.